Scientific literature has introduced us to four popular feeding styles. However, Jill Castle, a certified dietician, noted that three out of these styles may have negative effects on the physical and emotional health of a child. This style is also known as controlled feeding and it is one where the parents tend to push the child to consume more portions of the meal or tell the child to clean up his or her plate. In this case, the parent may also restrict the child to non-nutritious and non-healthy foods. Using this style, the parent stipulates the rules for eating without putting the child’s views into consideration i.e. the appetite of the child. Castle explained that ignoring the appetite of the child may make such a child unable to control internal hunger cues which may ultimately lead to weight problems. Also, Victoria S. Feltman explained that there are times when the parents totally keep out sugary cereals and when the child gets to somewhere else, that is the only thing they want to consume. A study that had young girls as participants showed that those who had mothers that heavily restricted their consumption of food had a higher likelihood of eating even when they were actually not hungry. 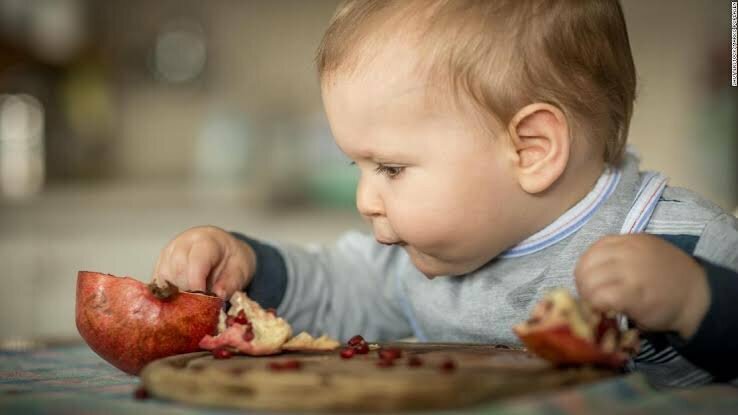 An indulgent or a permissive style happens when a parent holds loose reins on what the child eats and the kind of access the child has to any kind of food. Parents often have lesser control over treats and sweets. Castle explained that such parents are somewhat hesitant about saying no to their kids when it comes to food. That may cause the children to face difficulty in controlling their intake of unhealthy meals and may cause them to gain weight. There’s another feeding style which is hinged on attaching a reward to an achievement or to eating. Science shows that children usually prefer the reward food. Another feeding style is the uninvolved or neglectful style. The parent, in this case, does not put feeding or food as top priorities and this can make the child insecure about food. Castle noted that they may end up exhibiting behaviors that cause overeating. Authoritative style is linked with the highest positive results health-wise. Castle regards it as a style based on love with limits. The style operates when parents have structures and boundaries for feeding the children, but still, put the children’s preferences and feelings into consideration. For instance, giving the children reasonable choices from which they can make a selection. Experts opine that when parents give their children an environment that is supportive and when they also respect the wishes of the children, they will be able to make healthier decisions with regards to feeding and food in general. In a case where your child does not want food at all, make sure every child still comes to the table whether or not they want to eat. You can ask for the reason why they do not want to eat but as parents, it is better to respect their appetite. When a consequence arises as a result of failure to eat and the child gets hungry after refusing to eat dinner, tell the child that snack is unavailable and the next available meal is breakfast the next morning. There is a concession among experts that there are certain basic strategies that can help children develop a healthy relationship when it comes to food. According to Feltman, every child needs to get a schedule and a structure and an important part of providing that are giving them meals as well as snacks at regular intervals. They should be able to determine what exactly will be on their plate. Castle noted that people have demonized sweets and that has made it a natural thing for children to regard sweets highly and even overreact whenever they get access to them. Castle advises that once the bulk of the child’s diet is made up of food that is healthy and nutritious, then there should be room, although limited, for cake, cookies, soda or candy or any fatty food such as french fries. Castle mentioned that what children want and what they get can sometimes turn out to be two entirely different things. In this case, the parent needs to have a conversation with the child. Experts noted that it is perfectly alright for children to see that their parents have likes and things they do not like. They, however, need to also show the kids that they also regularly take their meals and have a higher preference for healthy food.